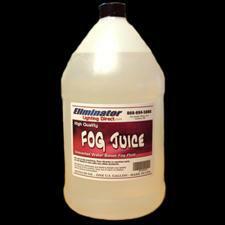 1/2 Price Sale on E-118 Fogger and Moonflower combo in one! Eliminator Fogger and Moonflower combo in one! The E-118 has a fogger and moonflower combo in one! With this combination, you can enhance the moonflower light with the fog. 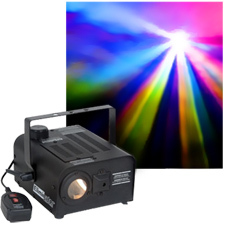 This fogger/moonflower combo houses a 450 watt, 2000 cubic foot per minute, fog machine with remote and 1 x 12v 50w lamp. Dimensions: 8"H x 11"W x 12"D, Weight: 9 lbs. Fgger and moonflower all built into one!